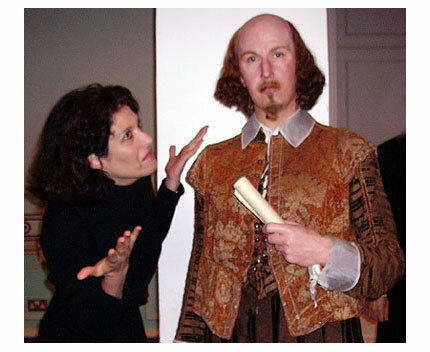 KATHERINE CHILJAN is an independent scholar who has studied the Shakespeare authorship question for nearly 30 years. She has debated the topic with English professors at the Smithsonian Institution and at the Mechanics’ Institute Library in San Francisco. She has written several articles for the newsletter of the Shakespeare-Oxford Society, was its editor, and is a former Society trustee. Chiljan has given talks on the Shakespeare Authorship Question in numerous public libraries, clubs, universities, and bookstores throughout California. She has appeared on “Authors and Critics,” and KQED’s radio show “Forum” with Michael Krasny. Chiljan is a frequent guest on internet radio shows. A graduate of U.C.L.A. (B.A. History), Chiljan has been an Oxfordian since early 1985, when Charlton Ogburn appeared in a TV debate with a Shakespeare professor on “Firing Line.” Chiljan has published two anthologies: Dedication Letters to the Earl of Oxford, and Letters and Poems of Edward, Earl of Oxford (1998). In April 2012, Chiljan received an award for distinguished scholarship at Concordia University, Portland OR, for Shakespeare Suppressed. She was a contributor to Contested Year (2016).